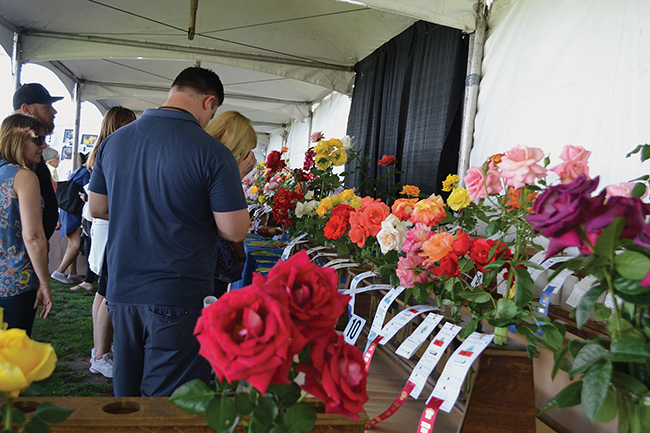 Since 1922, the Coronado Flower Show has been transforming Spreckels Park into a wonderland filled with fragrance and fun. This year the show is titled “Our family tree… Out on a Limb” and features more educational exhibits than ever. Presented by the Coronado Floral Association and the city of Coronado, the show has a new website: coronadoflowershow.com. Here you can find the show schedule, which contains all of the design and horticultural entry designations. Printed schedules can be picked up at the library, city hall, florists, visitor center and other locations around town. 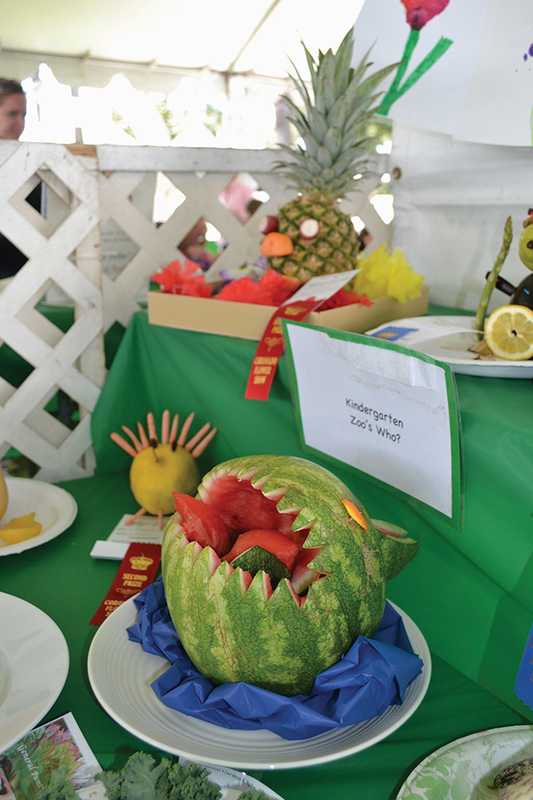 Locals are encouraged to enter the show — and enter often — with all entries free of charge. 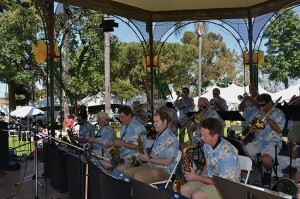 Once inside the canopied show, you’ll find a bevy of activities. 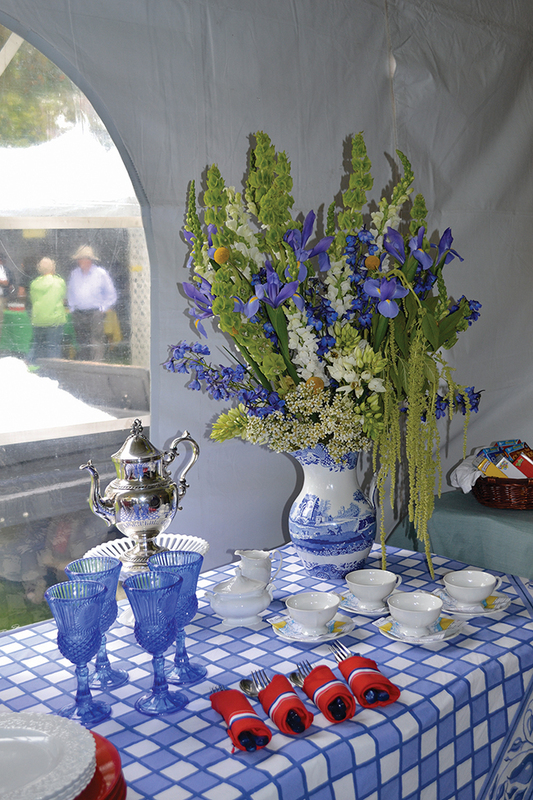 In addition to the horticultural and design displays, which have all been judged by the rules for a Standard Flower Show put forth by the National Garden Clubs.You’ll find a plant sale, food court, beer garden, entertainment, marketplace and educational exhibits. Momma’s Pots — terra cotta pots, plants, bath balms and soy-based candles. Sand Dollars — a perennial flower show favorite with gift items that feature garden themes as well as items with a patriotic flare. Plumeria Joe — fragrant celadine plumeria cuttings in 10-inch pots plus organic compost. Ex Libris books — beautifully curated garden and design books. RainThanks and Solobees — rain-water catchment systems and shelters for non-honey-producing bees. My Rustic Garden — garden-related “reused, upcycled and renewed” works in metal and wood. The Wildflower Gang — Each year flower show volunteers are given a special permit to visit the Anza Borrego desert and pick wildflowers. A professional botanist then helps display the flowers by species name. 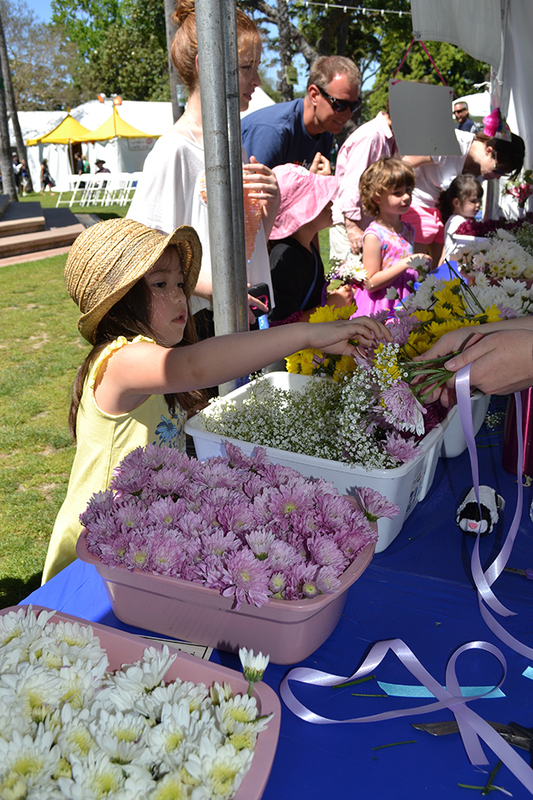 Children’s Hand-Tied Bouquets Work-shop — The Coronado Junior Woman’s Club with help from Bridge and Bay garden club will again oversee a children’s workshop, in which kids use floral ingredients to make original designs to take home. Chula Vista Genealogical Society — Representatives from this nonprofit genealogical group from just across the bay will be on hand to help you dig up your family roots. Coronado Arts Commission — “Florals by Locals” features floral-themed works in watercolor, oil and other mediums. 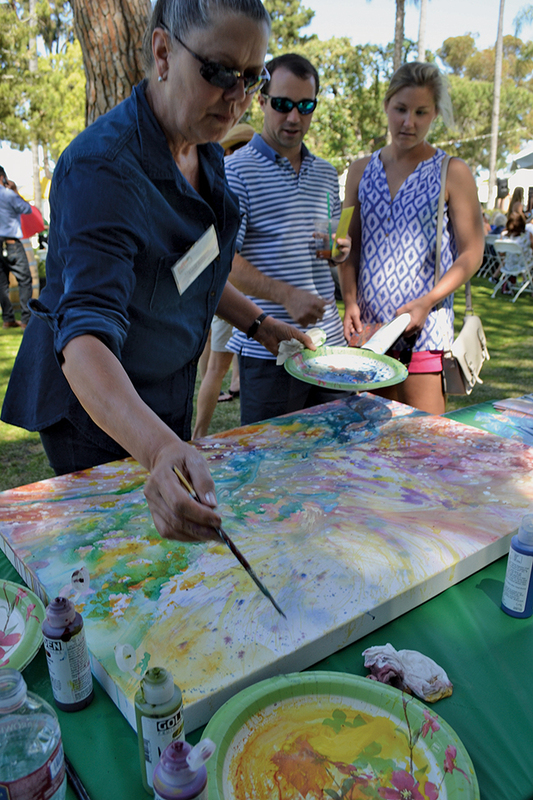 Artists will be on hand to paint on easels and educate visitors on their techniques. Coronado Cares — The nonprofit’s animal-welfare mission includes educating the community about the plight of feral cats and homeless pets, the necessity for proper animal care and the importance of spaying/neutering and micro-chipping pets. Maurice Taitano’s Heirloom Seeds — In 1998, Maurice Taitano purchased the business and inventory of Charles Ledgerwood’s seed company; for years, he sold seeds from his home-based store on Highway 101 in Carlsbad. “Charles was the seed man of San Diego county,” said Taitano. “He sold seeds to all the farmers in the County and at farmer’s markets.” Taitano will be educating the public on what constitutes heirloom seeds and will have seeds for sale. City of Coronado: recycling — Dana McPherson, who has worked with the city of Coronado since it introduced its first curbside recycling programs in 1991, said the city’s booth this year will focus on the next hurdle in recycling: food recycling, which comprises approximately 15 to 18 percent of the total waste stream. California Assembly Bill 1826 (“organics” recycling) targets businesses, not residential households, through the year 2021. Included in the bill’s definition of businesses are schools and government facilities, along with hotels and restaurants. “We are working with the city’s trash hauler, EDCO, as are most of the other San Diego jurisdictions, to implement a food-waste recycling program,” McPherson said. When the state passed Assembly Bill 939, it called for an ultimate waste reduction of 75 percent. The first benchmark years of 1995 and 2000, called for 25 percent and 50 percent reductions respectively, both of which the city of Coronado met. Master Gardeners — Have vexing questions about how to get rid of a garden pest without using pesticides? 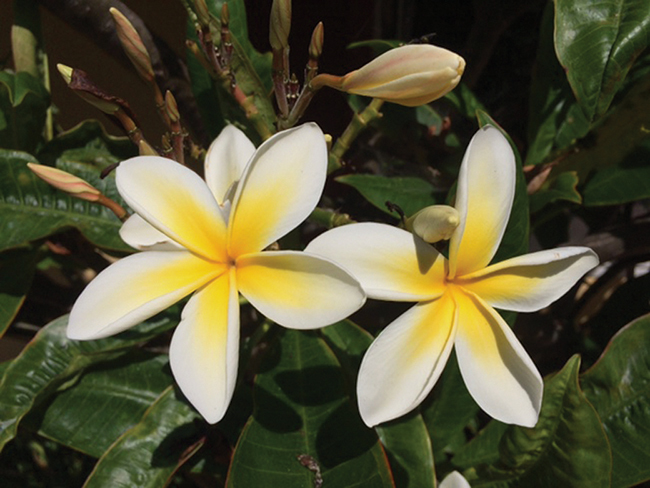 Want to identify a plant in your backyard? San Diego County’s Master Gardeners, eight of whom hail from Coronado, will be on hand to answer all of your questions. Master Gardeners are volunteers trained and supervised by the University of California Cooperative Extension. Coronado Historical Association — Learn about the association’s mission, programs, museum and membership. Enter a drawing to win two tickets to the CHA’s annual home tour on Mother’s Day, May 14. San Diego County Water Authority — The water authority’s booth will focus on using water efficiently, with rebate information and incentive programs for such products as rain barrels, commodes, sprinkler heads and washing machines. Coronado Street Tree Committee — This advisory committee to the Coronado City Council and city staff works to maintain, improve, renew and protect the urban forest in public rights of way, and shares information with the public to enhance appreciation of trees and promote proper tree care and pruning. Cuyamaca Water Conservation Garden — Learn all about the Water Conservation Garden on the campus at Cuyamaca College, which includes native habitat, succulent and vegetable gardens and a compost exhibit. John D. Spreckels Center and Bowling Green — The new community center, at Seventh Street and Orange Avenue, is focused on serving Coronado residents, 50 and older. The recent heavy rains locally, along with severe weather conditions across the nation, created a number of construction delays, but the center is expected to be open by Flower Show weekend. The flower show will open with the Coronado High School JROTC color guard posting the colors. Erica Trevino, an administrative clerk with the Coronado Police Department will sing the Star-Spangled Banner. 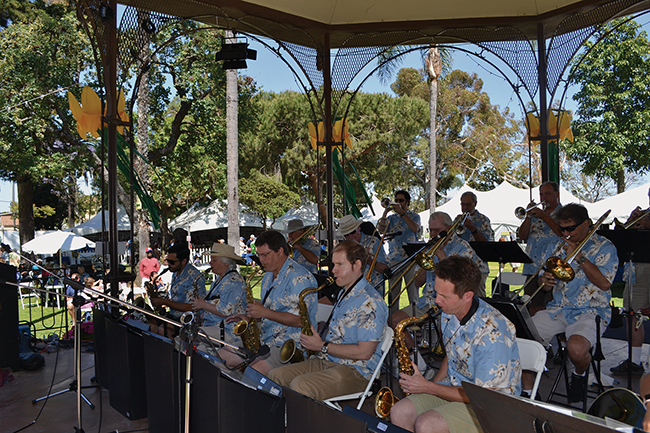 Four musical groups will perform on the bandstand including the Coronado Big Band, the Craig Stephenson Guitar Duo, the Coronado Concert Band and the Crown Island Jazz Band. A Florals by Locals artist shows visitors her painting technique. 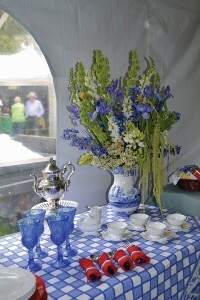 One of the most popular exhibits at the flower show is always the “Table Tents,” providing inspiration for year-round entertaining.